Posted by Yilan in Yunanistan. Alexis Tsirpas speaking with local Turkish leaders in the Western Thrace city of Komotini promised that his party Syrzia will look into a draft law to revert back to old Turkish placenames renamed over 65 years ago. Newly elected Prime Minister of Greece Alexis Tsirpas was keen on the idea to rename toponyms in Western Thrace to their previous toponyms bearing Turkish names in an effort to boost friendly relations with Turkey which has been pressuring Greece for many years to provide human rights for the Muslim Turkish minority in Greece..
Alexis Tsirpas indicated that he and his Syriza party will back the draft-law for restoring authentic toponyms in Thrace be brought in through Greece’s Legislative parliamentary commission. A two-third majority is required in order the draft-law on restoring authentic toponyms to be enacted, which means that opposition MPs need to be in favour of the document. “In the entire region of Bati Trakya (Western Thrace) no one uses the Hellenised name of the municipalities or the other names of places… for us and for our ancestors and future generations it has been and will always be Turkish names such as Gümülcine for Komitini or İskeçe for Xanthi. In 1949 a decision had been reached against the will of the Turks in Western Thrace to change the toponyms. In recent years, the Turkish language is in use thus they are written in Turkish with the Turkish Alphabet,” says former Member of Parliament and ex PASOK MP, Cetin Mandaci. Posted by Yilan in EU, European Union, Human rights abuses, Yunanistan. The Pan-Hellenic Socialist Movement (PASOK) government’s plans to move legislation, that will greatly affect migrants and refugees, have been both welcomed and criticised by rights organisations and activists. The interior ministry is ready with legislation that will allow migrants to apply for citizenship as long as they have maintained legal status for more than five years. Other requirements include a clean criminal record, reference letters from Greek citizens and clearance of language, history and politics tests. Second generation migrants and minors who have attended six years of schooling in Greece will be also entitled. Foreigners arriving in the country after the law is enforced will require seven years of legal residence before applying which, together with consideration procedures, may stretch to a decade. Foreigners acquiring citizenship will also be given the right, for the first time in Greece’s history, to get involved in municipal election. The ministry’s declaration has outraged extreme right-wing organisations, including the populist parliamentary party, Popular Orthodox Alarm, which has demanded a referendum on what it has described as a mistake that will damage the national character of the electorate. A referendum is not provided for in the Greek constitution for amending legislation on citizenship and political rights. More than anything the new law is expected to address injustice to second generation migrants living in Greece. Migrants’ children born or present since very early age in the country have so far faced an unfriendly citizenship law with restricted access. Such children, on reaching 18 years of age, have had to live as foreigners under regulations governing the residence of aliens in the country and without the rights due to ordinary citizens. The new law is far from perfect. It will only help some of the more than 200,000 second generation migrants estimated to be living in Greece, lawyer Aggeliki Serafim told IPS. Concerns have also been raised by the local office of Amnesty International (AI) regarding plans for establishing a new body authorised to research and report on abuses and human rights violations committed by uniformed authorities. Amnesty repeated its concerns in a public statement last month regarding the “failure of authorities to guarantee that policemen respect and protect human rights” and cautioned that the mandate of the new office, as currently formulated, will not be adequate for pursuing independent investigations. Greek police and the coastal guard have been denounced multiple times for their gross record of human rights violations during the last few years during which the European Committee for the Prevention of Torture and European Commission Against Racism and Intolerance have called for the introduction of an investigative body. The government has also undertaken an initiative to invite civil society actors to a full-scale debate about the reorganisation of the asylum system and the replacement of the notorious ‘’detention’’ centres with new “screening” and “registration” facilities. Asylum procedures collapsed last year while the previous right-wing New Democracy government pursued a rather xenophobic policy that totally curbed access to asylum, rejecting even people in serious need of international protection. “As a result we are left with a 90,000-application backlog which needs to be assessed while we move on to the new system. The previous situation has helped people in power to understand the real nature of the issue and accept a more pragmatic approach this time. The new system will facilitate access to asylum to those in real need while reducing its abusive use,” Afroditi Al Saleh, a special advisor to the ministry, told IPS. “The target is that by next May we will have prepared a totally new structure staffed by specialised civilian personnel with departments dispersed around the country that will undertake asylum interviews and administrative procedures,’’ Al Saleh said. The new asylum system will play a central role in boosting border management in the Aegean Sea through which most aliens gained entry into the European Community over the last few years. This is already being pursued with the serious involvement of FRONTEX, the European body created to coordinate operational cooperation at EU borders. “Support given to Greek authorities focuses on surveillance capacities, identification of migrants who crossed the border in an illegal way and assistance in obtaining travel documents for those persons who are supposed to be repatriated,’’ said FRONTEX spokesman Michal Parzyszek. Effectively, the operation is integrating Greek border management into a wider European Border Surveillance System prescribed in the Stockholm Programme, a key text on freedom and security endorsed by the Community at the end of last year, as a mechanism supervised by FRONTEX and enhanced by new surveillance technologies and improved methods of establishing the nationality of third-country nationals and deportation. Beyond practical proceedings the spirit of Stockholm supports ’an intelligence gathering and co-coordinative mechanism between member states that ‘’serves a closed borders policy,” says Natassa Straxini, a human rights activist and acknowledged defender of asylum seekers. “European migration policy in the future will be based on the fact that we accept whoever we cannot expel on a legal basis while nobody else stands a hope of getting in and staying. In the future economic migrants and environmental refugees will find it increasingly difficult to take the trip to the West, no matter the reasons forcing them to do so,’’ she said. Posted by Yilan in Turkey. Ahmet Hacıosman and Çetin Mandacı from the Panhellenic Socialist Movement, or PASOK, will represent the Turkish minority in the new Greek Parliament, Anatolia news agency reported Monday. Fourteen candidates of Turkish descent were nominated in Sunday’s general election, mainly in Rhodope and Xanthi, but only Hacıosman and Mandaci, both from the Western Thrace region of Greece, have managed to enter parliament from the socialists’ ranks, which will have 160 seats in the 300-seat Greek parliament. Hacıosman received a hero’s welcome in his hometown, Komotini, or Gümülcine in Turkish, and thanked the Turkish minority for their support during his election campaign. “As a member of the ruling party, I will try to find comprehensive solutions to the growing problems of the Turkish minority in Western Thrace,” Hacıosman told supporters in Komotini. “I have personally experienced these problems and I have realized the responsibility that sits on my shoulders.” Hacıosman, who served as a PASOK lawmaker for two years in the previous parliament, also said he would benefit from the advantages of being a member of the ruling party, adding: “For two years, I was in the opposition ranks. 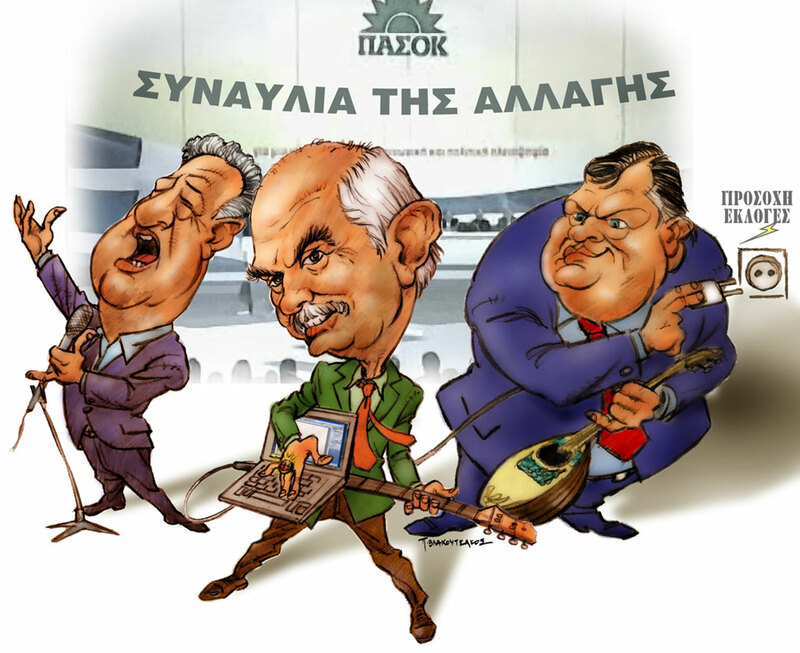 But now, our party is in charge and PASOK leader George Papandreu will become the next prime minister. The Turkish minority have been working hard for PASOK, and it is now PASOK’s and Papandreu’s turn to give,” Hacıosman said. Posted by Yilan in Macedonia. Greece’s main opposition party, the Panhellenic Socialist Party, PASOK, will take a somewhat different course in resolving the naming dispute with neighbouring Macedonia should it win in the upcoming elections. 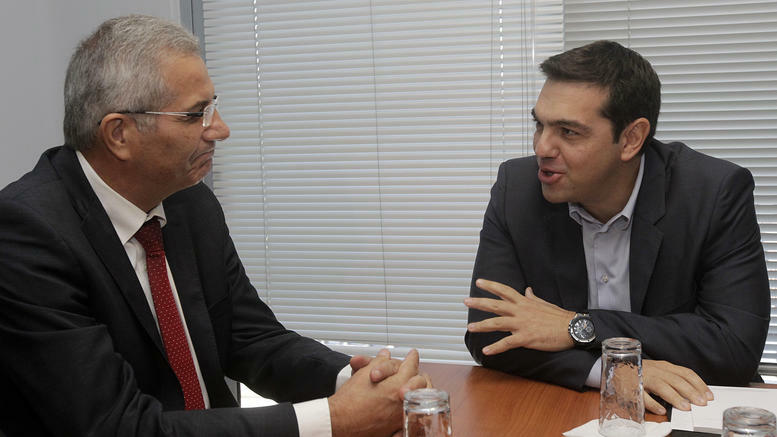 “When PASOK comes to power we will solve the issue. We will send a message of reconciliation to our neighbor, not of confrontation,“ PASOK’s Andreas Loverdos, told Greek news portal Newstime.gr last night. As a sign of good will, “PASOK will accept the return to Greece of Slavmacedonian refugees who ‘left’ the country after the civil war”, Loverdos added. Slavmacedonians is the name used by some Greek officials to refer to the Aegean Macedonians. Skopje demands the return of confiscated land and the refugees, who fought on the side of the Democratic Army of Greece, the military branch of the Greek Communist Party, which lost in the 1946-1949 civil war.